Authorities have a suspect in custody after a woman was found stabbed and run over in the parking lot of a security company in Montgomery County early Friday morning, 8/3. 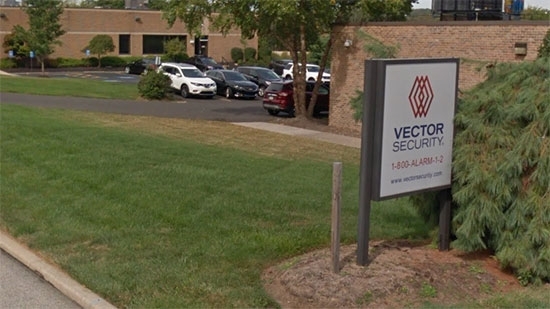 It happened around 2:30 a.m. at Vector Security at 5125 Campus Drive in Whitemarsh Township. According to Montgomery County District Attorney Kevin Steele, Angela Maya Stith had gone out to her car on her break during the overnight shift. Lawrence Crawley attacked her while she was in her car, stabbing her multiple times. She managed to escape but he chased her down and stabbed her some more until the blade of the knife broke off in her back. Co-workers then tried to help Stith, but Crawley got into his Chevrolet Avalanche pick up truck and ran over her repeatedly before fleeing. Pennsylvania State Troopers pulled him over on the Pennsylvania Turnpike near the Allegheny Tunnel by Somerset, PA, about 200 miles away. As troopers approched, Crawley set himself on fire inside the vehicle. He was taken to the hospital and is in critical but stable condition. He has been charged with 1st and 3rd degree murder. Both Crawley and Stith are from Philadelphia. The two had a previous relationship and may have broken up. A 12-year-old boy died from an accidental self-inflicted gun shot wound in Wilmington, DE, on Friday morning, 8/3. The shooting happened around 9:55 a.m. at a home in the 1300 block of E. 27th Street. The boy shot himself in the chest. He was taken to A.I. duPont Hospital for Children in critical condition and later died. Police are investigating. The boy has been identified as Tymier Shelby. A train car derailed in an underground tunnel below the Benjamin Franklin Parkway in Philadelphia on Friday morning, 8/3. It happened around 8:30 a.m. in the CSX rail tunnel near Race and Bonsall Streets by Paine's Park skate park. One car of a Norfolk Southern train came off the tracks. The car was still upright with a single set of wheels on the ground. No one was injured and no leaks were reported. Traffic above on the parkway was not affected.